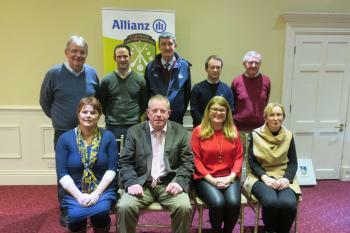 All six Munster counties were represented at the AGM of Coiste na Mumhan of Allianz Cumann na mBunscol in Adare last Friday. John Brennan of Munster GAA and John Cregan of Limerick GAA were guests. Tomás O hAinifein presided and gave a thorough account of a busy year on the playing front. 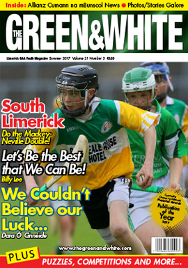 Primary Game coordinator reported that 484 boys and girls played in the 2018 Munster GAA Primary Game. This was a wonderful experience for all players. It also saw new faces becoming involved with the Primary Game and this was to be welcomed. Killian O Reilly stepped down after five years as Runai and was replaced by Geraldine Behan (Ciarraí). Brother Dormer 's term as Development Officer also came to an end and he was replaced by Ann Marie O Gorman (Port Láirge). Tributes were paid to Brother Dormer and Killian for their work over the past decade.